One of the greatest parts of running in Dubai is the prevalence of designated running tracks in its numerous parks. 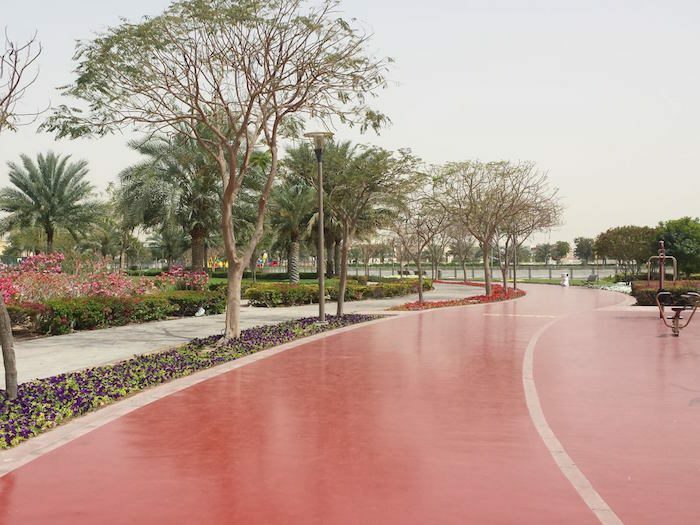 Of these, the most popular is the track in Al Barsha — a 1500m loop around a nicely landscaped pond. It’s marked every 100m, so you can keep extra detailed track of your progress as you speed along on the spongy running surface. The best part about this park? It’s free and open to the public from 8 am to 10 pm.